Officers responded to 2201 Trimmier Road on Thursday, November 30, 2017, at 9:18 a.m., after receiving a 911 call letting them know the 1st National Bank had just been robbed. Officers were advised a thin black male entered the bank and gave the teller a note that demanded money. He then fled on foot from the bank with an undisclosed amount of money. The suspect was last seen wearing dark colored clothing. Detectives with the Criminal Investigation Division, Violent Crimes Unit, were able to determine the identity of the robbery suspect in this case. 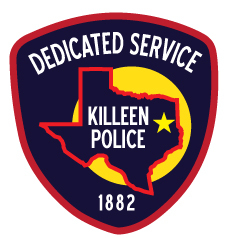 Based on the information developed by the Killeen Police Department, Ft. Hood Criminal Investigation Division and the FBI Violent Crimes Task Force this case was reviewed by the US Attorney’s Office and a complaint was issued charging 21 year-old Marcus Delars Branson Jr. with Robbery. On Monday, December 11, 2017, Branson was taken into custody by Agents of the Federal Bureau of Investigation on Ft. Hood. Today, December 12, 2017, Branson was transported to the Federal Court in Waco by a Killeen Police Detective and an FBI Task Force Officer.